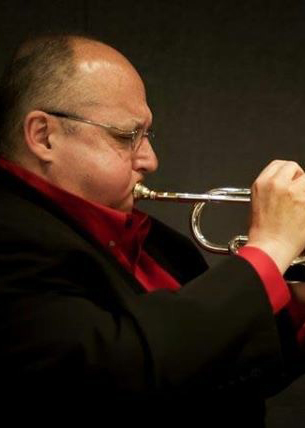 Trumpeter, Steve Enos, Cuyahoga Community College (Tri-C) Jazz Studies, Director. Steve earned his Undergraduate Degree in Professional Music with a Jazz Performance Emphasis from the Berklee College of Music and his Master’s in Music Education from the University of Akron. He also directs the award winning Tri-C JazzFest High School All-Stars and Tri-C JazzFest Summer with the Jazz Master’s Program. Steve is also a member of the Ernie Krivda Fat Tuesday Big Band and Cleveland Jazz Orchestra and performs in the Playhouse Square Orchestra for their “Broadway Series”. At the Berklee College of Music is received the Lennie Johnson Memorial Scholarship Award and performed with the Boston famed, Herb Pomeroy Orchestra. He has performed with Aretha Franklin, The Four Tops, The Temptations, The Funk Brothers, Natalie Cole, Louis Bellson, Phil Woods, David Sanborn, Steve Lawrence and Eydie Gorme, Johnny Mathis, Barry Manilow, Frankie Valli and others. Under his direction, the Tri-C Jazz Studies is a nationally recognized program with articulation agreements with both the Berklee College of Music in Boston, and the Jackie Mclean Jazz Institute at the Hart School of Music in Hartford, Connecticut. Some of Tri-C’s outstanding students have included, Sean Jones, Dominick Farinacci, Curtis Taylor, Jerome Jennings, Aaron Kleinstub and Steve Renko. Steve is a Yamaha Artist. 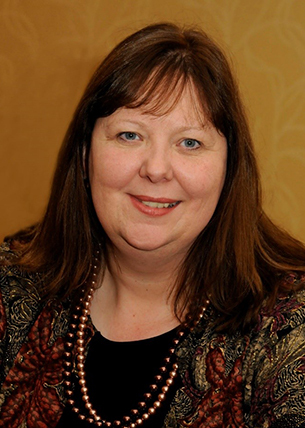 Kira Seaton is Professor of Music at Cuyahoga Community College, Western Campus, teaching Voice, Choral Music, Music Theory, and Musicology since 1987. Aside from her academic duties, Ms. Seaton has performed, musical directed, or directed in a majority of the theatres in Northeastern Ohio, and has sung with both Cleveland Opera and the Cleveland Orchestra. Professor Seaton has conducted or participated in touring choirs performing at The Kennedy Center, Carnegie Hall, Severance Hall, St. Joseph’s Oratory in Montreal, and has performed on tours in England and Italy. A popular speaker with the Cuyahoga Community College’s Speaker’s bureau, Ms. Seaton has spoken to many area groups on the Healing Power of Music, the Legacy of Music, and “I Hate Opera”, a humorous talk about the history and fun of Opera.